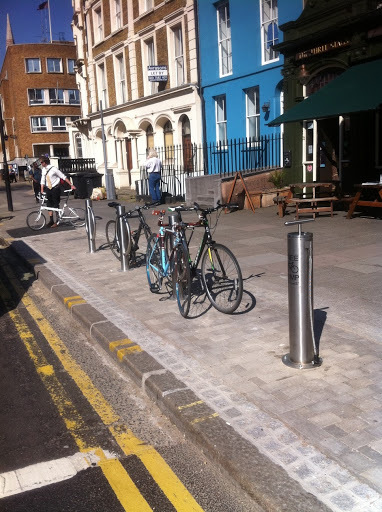 Lambeth have installed a new bike pump on Kennington Road in SE1, outside the Three Stags pub and near to the Imperial War Museum which will allow passing cyclists to stop and pump up their tyres on what is Lambeth's busiest cycling route. The pump has been installed by innovative cycle infrastructure designers Cycle Hoop who have been responsible for many of the other Lambeth innovations such as the 1car = 10 bikes cycle parking facility. Lambeth Council's Richard Ambler commented "Most service infrastructure on our streets is for cars or other motorised transport. Installing a service like this pump supports the image of cycling as an important and valid form of transport." He went on "I chose this location because it’s the busiest cycle route in Lambeth, it’s on most commuters’ home route so they will be more inclined to stop and use it, and it’s at a set of traffic lights where cyclists will be stopped waiting. I think it’s an attractive and unusual piece of street furniture and it sends the message that we care about cyclists." Lambeth Cyclists welcome the arrival of a new and innovative piece of street furniture. The bicycle pump is a great addition to the public realm to make cycling that much easier, and is a strong signal that cycling is an important aspect of transport in the borough of Lambeth. It's also great that a young and innovative local company like Cyclehoop is able to supply the pump. We hope to see more of them in the future! Cycling towards the election: are you registered to vote in your current home? As you no doubt will be aware the big election in 2012 for Londoners is the Mayoral election on Thursday 3 May 2012. On this day we will get to vote for the Mayor of London and also the London Assembly Member for our local area. In order to vote in the election you need to be registered at your current home address. To find out if you are registered consult the electoral register: available in your local library or by contacting the Electoral Services department of Lambeth Council- 020 7926 2144, electoralservices@lambeth.gov.uk. You have until 18 April 2012 to send back a registration form to Lambeth in order to take part in the elections on 3 May. Registration forms and other information can be found on the Lambeth website – www.lambeth.gov.uk/registertovote. You can register and vote in these elections if you are a citizen of the UK, the Commonwealth or another EU nation. This Saturday, 31 March 2012, we have the first Lambeth Cyclists Architecture Ride of 2012. Now spring is here, come for a leisurely cycle ride exploring little-visited parts of outer South London, mostly along quiet back roads. 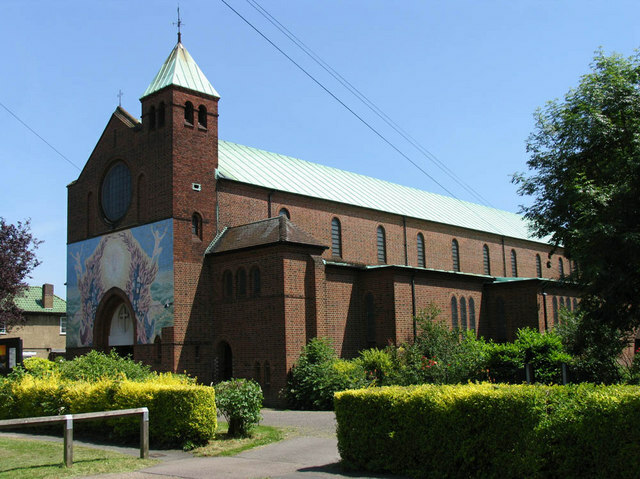 On the way we will be looking mainly at inter-war churches. These largely-ignored buildings are very varied. Some try to keep to the late Victorian Gothic and Arts and Crafts traditions, but others are much more modern and adventurous in design and materials. We will start the ride off by catching the 10:31 train from Tulse Hill to Merton South. We will then cycle on a route through Merton, Morden, St Helier, Hackbridge, Carshalton Beaches, Wallington, Waddon and Croydon where the ride will finish. 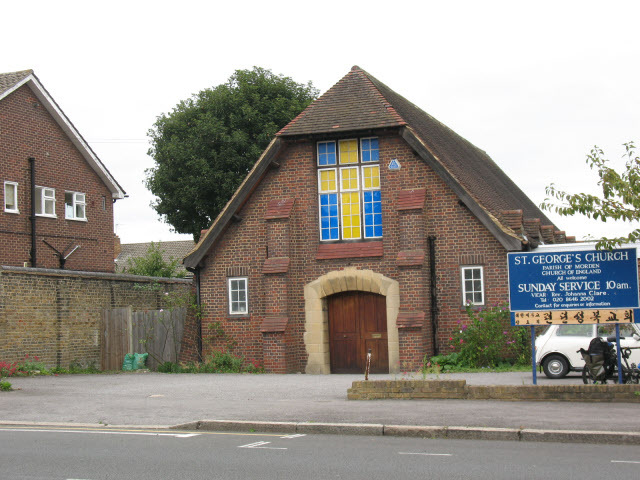 Participants can then either take the train back from Croydon station, or after a refreshment stop cycle back to Lambeth taking in churches in Thornton Heath and Streatham. This will be a leisurely all day ride around South London finishing at approximately 5pm. The total distance covered will be appoximately 12 miles, mostly flat but some hills. We will be stopping for lunch at the Robinhood pub in Sutton or bring sandwiches. All welcome - no need to register - make sure your bike is roadworthy! Sign up now - we only have limited places left for the course starting 10 April 2012. 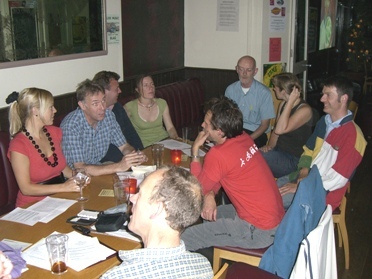 We hope you can join us for Lambeth Cyclists' meeting this evening (20 March 2012) 7:30pm upstairs at the Priory Arms pub, Lansdowne Way, Stockwell, SW8. The first part of the meeting will be business looking at latest developments in cycling in the borough followed from approximately 8:30 onwards by drinks in the bar - it would be great to see you for all or just the second part of the meeting! Transport for London have promised to carry out a review of major junctions across London following the publication of the top 10 dangerous junctions lists detailed in the last newsletter. Several of these top 10 dangerous junctions are in Lambeth or, like Elephant and Castle, are likely to be used by Lambeth cyclists. TfL have started with proposals for the Bow junction in East London and will be reviewing others shortly to see how they can be improved. Keep in touch with the Lambeth Cyclists email list, website and Facebook page to find out whats happening and to add your comments when TfL draw up plans for key junctions in Lambeth. 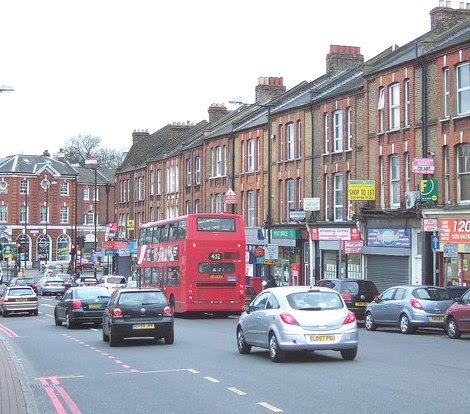 One cycle-unfriendly road feature which we will be pushing for inclusion in the TfL review is the Tulse Hill gyratory system (pictured) in the South of borough. 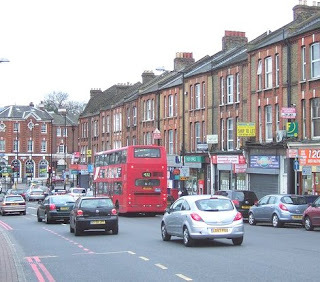 Although overshadowed by more dangerous one-way road systems such as the Vauxhall gyratory the one-way system and series of traffic lights in Tulse Hill town centre does not feel safe for cyclists or pedestrians. Arguably too the road layout hinders development of the town centre shops too as it makes it hard for customers to cross to the ‘island’ of shops in the middle of the gyratory. This is one of the issues we hope to raise, along with Vauxhall Cross, with politicians standing in Lambeth and Southwark at our hustings meeting in April. The elections to be held on Thursday 3 May 2012 are important for Lambeth and London and are especially important for cyclists. Whilst most media attention will focus on the big Boris Johnson/Ken Livingstone contest the behind the scenes work of London Assembly members affects how Transport for London implements transport measures that impact on cycling and sustainable transport. As in previous elections we will be working with Southwark Cyclists to run a joint hustings event for the Lambeth and Southwark constituency. We have provisionally arranged to hold the meeting on Tuesday 24 April 2012 and will invite all those standing to attend the meeting so that we can hear their views. Are you registered to vote in your current home? To take part in the London 2012 elections you must be registered to vote in your current home. To find out if you are registered consult the electoral register: available in your local library or by contacting the Electoral Services department of Lambeth Council- 020 7926 2144 / electoralservices@lambeth.gov.uk. 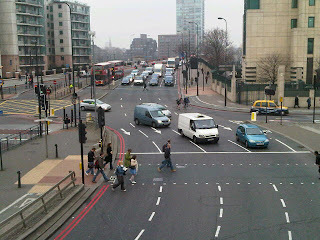 You have until 18 April 2012 to send back a registration form to Lambeth in order to take part in the elections on 3 May. Registration forms and other information can be found on the Lambeth website – www.lambeth.gov.uk/registertovote. You can register and vote in these elections if you are a citizen of the UK, the Commonwealth or another EU nation.